Britain finally signed a historic deal with EU on the Brexit terms. On June 23, 2016, 17.4 million Britons -- 52 percent vs 48 percent -- voted to end their 43-year-old membership of the EU. On June 24, Conservative prime minister David Cameron, who called the referendum and led the remain campaign, announced his resignation. He said he would stay on until a successor was found, sparking a leadership race that in the end proved remarkably swift. Brexit campaigner Boris Johnson withdrew at the last minute and Theresa May, Cameron's interior minister for six years, was crowned leader on July 11. On January 17, May gave a major speech setting out her Brexit strategy. She had previously promised to cut EU migration and now acknowledged this would mean Britain leaving Europe's single market. She warned she was willing to walk away from the negotiations, saying: "No deal for Britain is better than a bad deal for Britain." On March 13, Britain's parliament gave final approval to a bill empowering May to trigger Article 50, the process of leaving the EU. 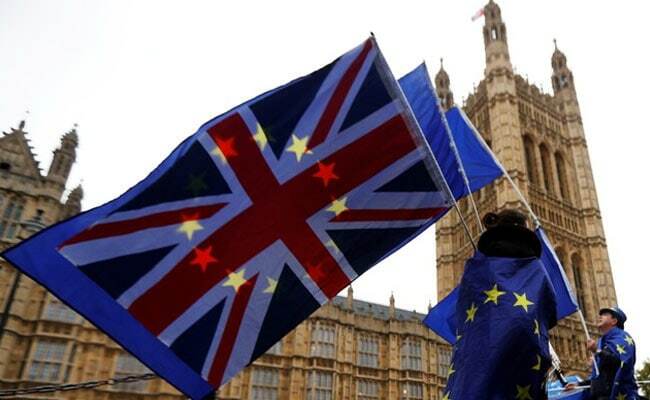 The House of Lords had passed amendments to guarantee the status of European nationals living in Britain and to give parliament a final vote on the final deal. But these were overturned by the House of Commons and the bill passed unamended. The government triggered Article 50 on March 29 in the form of a letter to EU President Donald Tusk, starting a two-year timetable until withdrawal on March 29, 2019. "We are on the threshold of the most important negotiation for this country for a generation," Brexit minister David Davis said. May calls a snap election for June 8 in a bid to capitalise on the perceived weakness of the main opposition Labour party and strengthen her hand in Brexit negotiations. Her gamble backfires spectacularly and the Conservatives lose their parliamentary majority. They are forced to strike a deal with Northern Ireland's Democratic Unionist Party to be able to govern. In a keynote speech in Florence on September 22, May outlined plans for a two-year transition period after Britain leaves and said Britain would continue its EU budget contributions during that period. Britain's contributions over the two years after its departure would be around 20 billion euros ($23 billion) -- an amount judged well short of the correct figure by EU officials. The government later agrees to increase the figure to an unspecified amount, reportedly in the region of up to 55 billion euros. The issue of British guarantees to keep the border between Northern Ireland and the Republic of Ireland after Brexit becomes a key sticking point. On December 4, May is on the cusp of an agreement but the DUP scuppers the deal at the last minute saying it was not consulted in time. DUP leader Arlene Foster called the proposed agreement a "big shock" and said there should be "no regulatory divergence" between Northern Ireland and the rest of Britain. After the setback, Scottish First Minister Nicola Sturgeon says the case for Scotland's independence is getting stronger. Sturgeon branded the government "dissembling, mendacious and totally and utterly incompetent". "The sooner we are in control over our own future here in Scotland the better, and this week has proved it." Scotland's independence bid failed in a 2014 referendum and May has said "now is not the time" for another vote. Britain and the EU reach a historic deal on the terms of the Brexit divorce after all-night negotiations and an early-morning dash to Brussels by May. The European Commission said it will recommend that "sufficient progress" has been made in Brexit talks and negotiations on future UK-EU partnership ties should begin.